My lasting memory of Mario Party is one of pain. Physical, real pain sustained in the index finger on my left hand. A soreness that resulted in numerous blisters – battle scars of my commitment to fun, and more importantly to victory, even if in this case the winner was only myself. Some may even alternatively call me a loser, perhaps in multiple senses of the word. The cause of this pain was a seemingly harmless mini-game, actually separate from the main Party itself. An innocuous item to purchase in the Item Shop was a wind up Shy Guy toy called Mecha Fly Guy. Once bought you could go to it as many times as you liked and aim to rotate the analogue stick as fast as you could for ten seconds, with more rotations causing the Mecha Fly Guy to fly for longer in a circle upon release. And boy did I keep coming back, always trying to beat my rotation score, praying that Guy would never fall from the sky, plummeting to the floor with a clunk of disappointment. And it was that persistence that cause the soreness, the blisters, the pain. But more importantly it demonstrated my competitive streak, that in twenty years since Mario Party launched shows no sign of abating. Way back in February 1999 saw the US launch of Mario Party, a game that took the traditional board game out of the living room and put it, well, back in the living room, just now via your TV. With up to four players able to compete as their favourite Mario characters in an interactive board game, where the experience was made up of various mini-games that you could compete in. The aim of the game was to acquire stars at certain points on the board by amassing coins. The better you did in mini-games, the more coins you earned. It landed at the perfect time, one where the local multiplayer was king. The Nintendo 64, with its unabashed four controller ports screaming to be put to good use was the perfect fit. Having seen other multiplayer titles like Goldeneye and Mario Kart 64 flourish on the machine and bring groups of friends together around the world, all huddled around their TVs with odd-shaped controllers in their hands. Players were playing together, enjoying gaming in unison, making memories and enjoying friendly banter, this was a time made for Mario Party and its frantic mini-game madness. Thankfully, like all good multiplayer experiences, the variety was here to make each session different enough to keep you coming back. 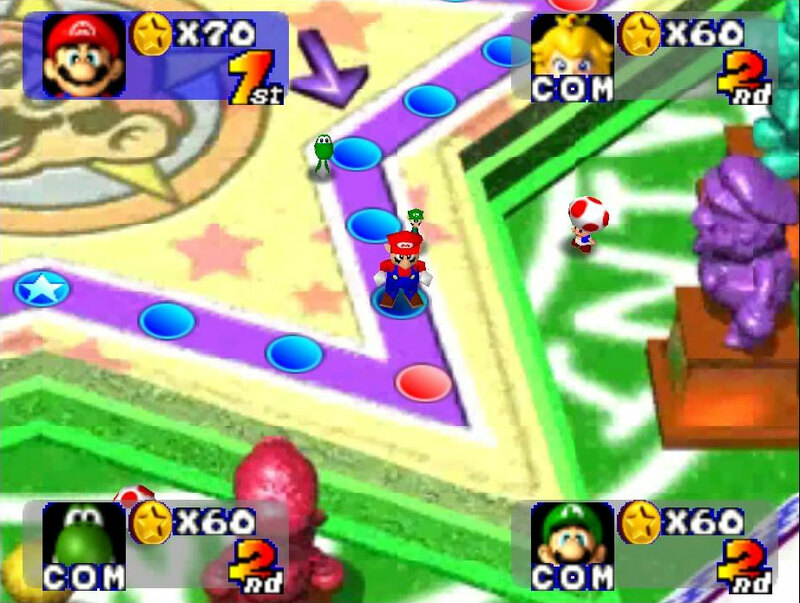 There were different spaces on the board resulting in different coin outcomes, such as earning or losing coins, or the ability to steal them from other players. Then after each player has moved on the board, a mini-game would be picked at random, from a selection of 50. Choosing from such a variety meant things were kept fresh in each overall game, but there was enough repetition across multiple games for players to become more familiar with them and improve over time with practice. This was especially important to competitive people like me back in the day! There was also different boards to play on from, themed around each of the playable characters, which had different interactions at various points. You could also set how many turns you wanted the game to last for, depending on whether you wanted a quicker game or a longer experience. And thankfully it did tend to reward skill and ability, with generally the more adept players coming out on top overall thanks to their superiority in mini-games. Obviously their random, and sometimes wacky nature meant this wasn’t always the case, and with some of the mini-games being co-operative meant that it wasn’t always plain sailing for the players like me who played it far too much. But, unlike Nintendo’s more recent fear of leaving people behind, to the point of bolstering losing players up to the level of those in the lead, back in 1999 it rewarded achievement, and acknowledged ability. Rubber banding has increased over the years, and in my opinion almost to the detriment of the series. Sure, everyone should have a chance, but what’s the point in trying if victory is hollow or meaningless? The original Mario Party got this right. Despite the clear focus being on multiplayer, there was also options for single players. The most obvious was the ability to go it alone against 3 CPU controlled opponents to make up the required four players for each game. Whilst this was an option, it was never quite as fun to rub Luigi’s face in it for losing at a mini-game if he was controlled by a faceless machine that doesn’t react to being wound up. An alternative mode for individuals was the Mini-Game Island mode which gave you the task of claiming victory over all 50 mini-games with just three lives to your name, where a loss would see your life count reduced by one. It was daunting, particularly to newer players, but served as an excellent method to practice the different games on offer. But the appeal of ultimate victory still felt a little hollow in comparison to playing these games as intended, with four people huddled around a screen, where clearly this game shines. 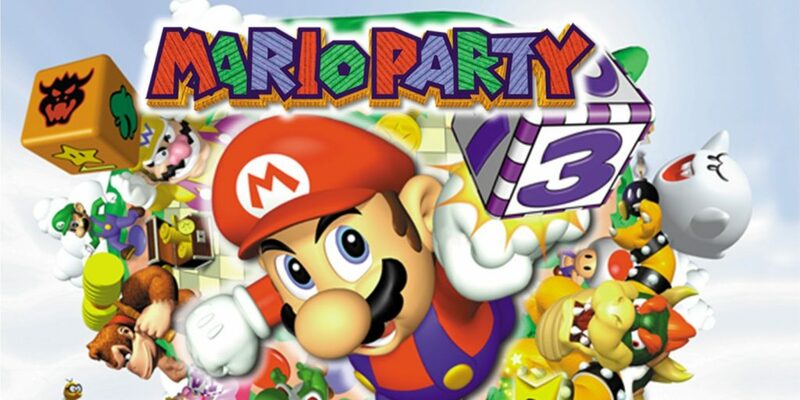 Over the last twenty years, Mario Party has established itself as a key Nintendo franchise, spawning ten console sequels since the original, the most recent being Super Mario Party on Nintendo Switch released just last year. This, coupled with five further titles on Nintendo’s handhelds demonstrates its pull and appeal has endured throughout the decades since its inception. But if anything, looking back on what the original gave us, just highlights in real terms how far (or not) the series has truly come in that time. Sure, Super Mario Party does feel like a return to form, but mainly because it gets right what the original did, with its fun multiplayer formula. There’s still the awkward, uninspiring single-player, and always a sense that things could happen just that little bit quicker just to keep the momentum going. 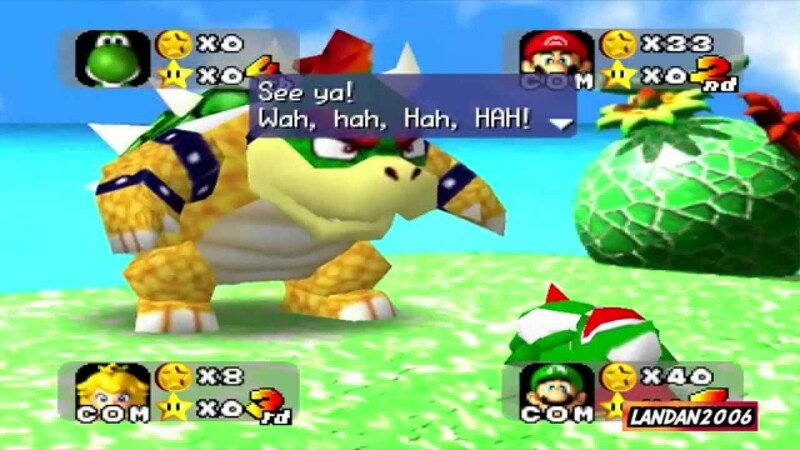 I have great memories of Mario Party, rotating analogue stick war wounds aside, because it felt new and different, a game worth engaging in, and of the moment. There’s a nagging sense though that Nintendo’s oft-accused regurgitation of old ideas is very much at play with this franchise, and I would argue it needs a new stimulus to truly feel as fresh and relevant as it did back in 1999. 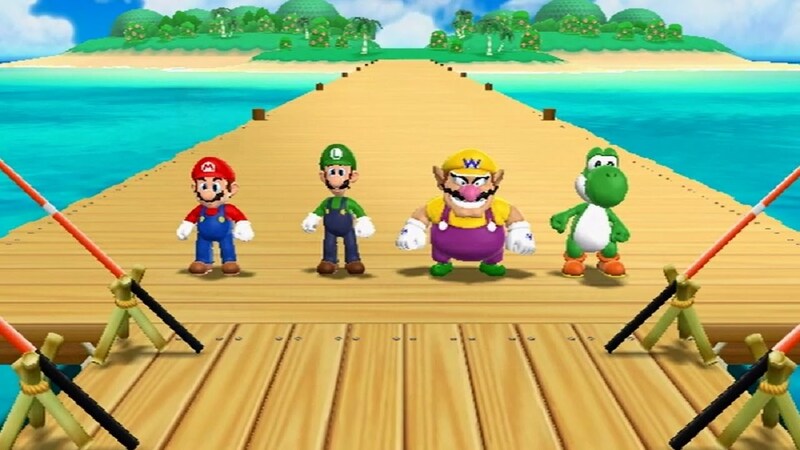 Super Mario Party feels like the start of something, but I hope the next iteration goes a step further to truly reinvent and reestablish itself as the must-have party game of the moment. And then more of us can once again get on board (see what I did there? ), unearth our competitive streak, and indulge in frantic multiplayer fun with friends. Hopefully it can become a Party we’ll all want to be invited to once again.